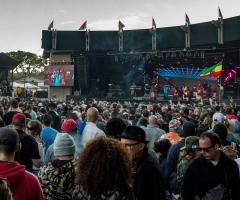 On Labor Day weekend here in the U.S., the Shoreline Jam music festival took place in Long Beach, California. Top Shelf Reggae was there for both days of reggae-rock and hip-hop music. It was a beautiful sight as the Queen Mary and Queensway Bay were visible from the site. Along with some nice musical performances, there was a beautiful crowd and promising vendors. As the Top Shelf Reggae crew arrived on Saturday around 1P.M., we were happy to see the Cali Vibes family setting up their spot. Known for their logo, “Support Local Reggae,” it was good to catch up with Vince after our marvelous interview, which can be found here. The first band to play was Iya Terra from Los Angeles. Known for their roots-inspired music, Iya Terra had a small but nice crowd enjoying their music. They played music off their recently released album, Full Circle, as well as some new music which spoke of roots and culture. Tribal Theory was next and as our wonderful photographer, Kristy noted, they probably should have played later considering they did a great job pumping up the growing crowd. The five-piece band had a nice set and played some nice Island-inspired music. 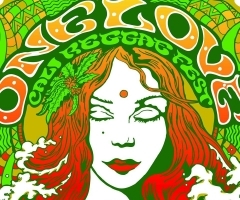 Brewfish really brought the rock music to the reggae-rock festival, as did Seedless and Tomorrows Bad Seeds. Although the crowd diminished a bit for Brewfish and Kimie Miner, it definitely came back for Seedless. 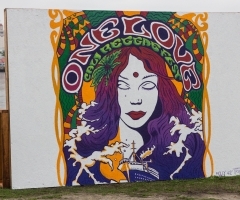 Seedless of Orange County is known for their great presence, music, and fantastic musicians. It was great seeing Matt Liufau and Casey Sullivan singing their heart out, as well as guest vocalist and sister of Matt, Essel. 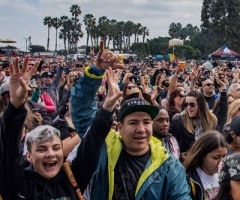 They definitely got their crowd pumped and ready to enjoy the rest of the festival, which included Tomorrows Bad Seeds next, followed by The Grouch & Eligh, Common Kings, and Matisyahu. Common Kings, also from Orange County had great support, particularly from Polynesian music supporters. In fact, this reviewer almost could not tell if this was a Pacific Islander Festival, or a reggae-rock one. It was great to see so many Polynesian families not only support Islander reggae music, but vendors as well, including the Kingman and Empress Collective Clothing line. The next day, after getting an organic smoothie in the downtown area of Long Beach where the barista mentioned her father had gone to the “reggae festival,” but said there was barely any reggae music, this reviewer was eager to see what day two would bring, considering the lineup included such artists as Barrington Levy, The Green, and Stick Figure. Day Two started with Ital Vibes from Los Angeles. Also known for their roots-inspired music, this band has a great sound and appear to be on-point when it comes to playing their music live. The band also has some great supporters. True Press was next to play. This is the second time Top Shelf Reggae has seen them perform when Ital Vibes did as well, and the two bands seem to complement each other well, as if they are two peas in a pod. With very enthusiastic musicians playing their heart out, this band is known for their lion-size heart when it comes to engaging with their audience. Both Bad Apples and Tenelle were interesting to watch. Bad Apples was introduced as one of the hairiest bands to perform, and their reggae-rock music was pretty good and reminiscent of Sublime music. Tenelle played more Island-style music and received okay support. Sammy J performed with the same backing band as Tenelle, only this time, the crowd went wild, particularly those of Polynesian background. Admittedly, Sammy J has really good music and Top Shelf Reggae could see why so many fans sang along and enjoyed his performance. Fortunate Youth was next and since this is one of the reviewer’s favorite bands, she cannot really comment on their performance except to say, “Tighten up.” Their newer music was performed well, but some older songs seem to continuously need fine tuning, even if they may have had some technical difficulties that day. Either way, it was also great to see Zion Thompson of The Green join in. Anuhea is such a doll! Not only did she have the best female vocals for the two-day festival, she appears to sing straight from the heart. She had a little technical difficulty, as well, playing guitar, but nothing too major. Also, it was great seeing her sport Empress Collective Clothing. Shwayze was fun hip-hop music mixed with some hard rock, but what was even more exciting was the anticipation of Barrington Levy. Indeed, all the reggae lovers and supporters appeared to be most excited for him and Stick Figure, whose performance might have been greater if the crowd could hear Scott’s vocals just a wee bit more. After a competition involving the best twerker of three girls (not very reggae,) these fans seemed ready to hear classic songs from Barrington Levy, including “Black Roses,” “Here I Come,” “Under Mi Sensi,” and “Murderer.” Although his set was entertaining, the notorious reggae singer appeared to pump up the crowd more than he did sing. The Green from Hawai’i finished the weekend and they, too, had a great crowd. It seemed as if everyone was singing along to them and enjoying their music. 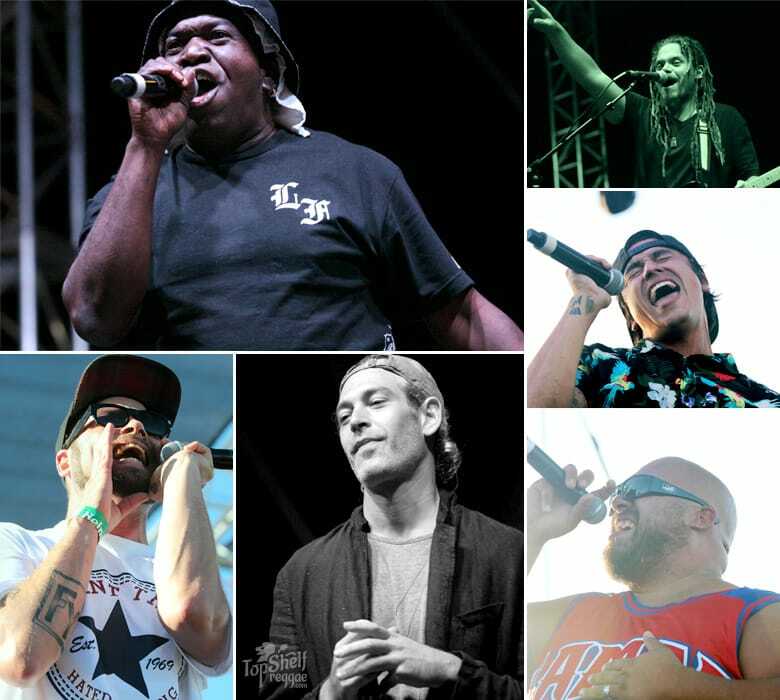 Known for their sweet Island sound, this reviewer was unsure if this modern band closing the night (versus Barrington Levy) was a good choice, but indeed, it was. Thus, it was quite a Shoreline Jam to remember.